Through a steady diet of asking the children, “What do you notice?” and “what do you wonder?,” the children’s perception of the environment and their role in it has dramatically changed in these 12 weeks. 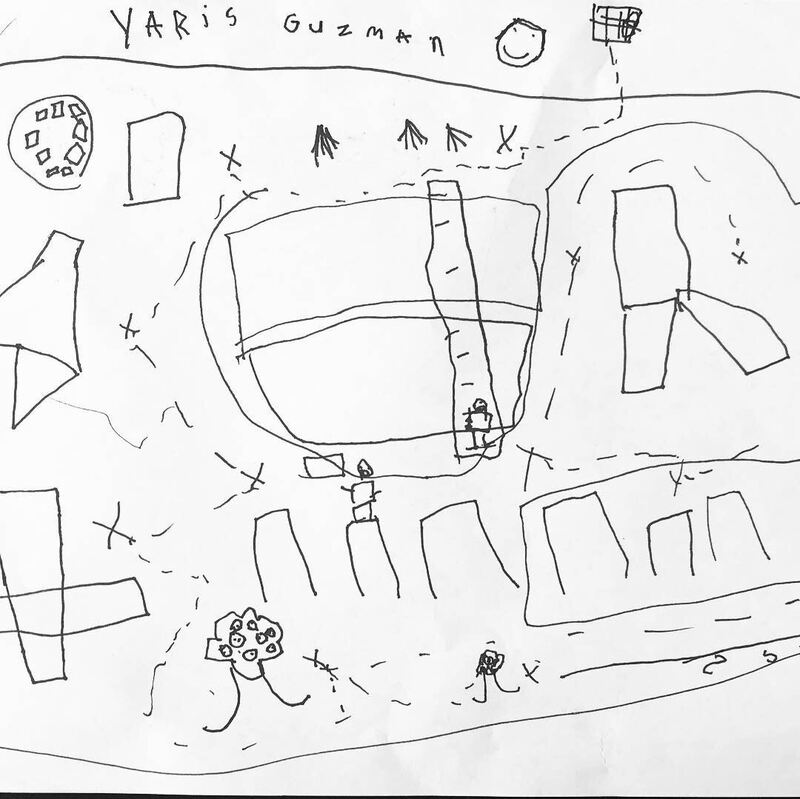 We have moved from utilizing the space as solely playground (which is also important and valuable), to engaging with all that we see through the eyes of curiosity. 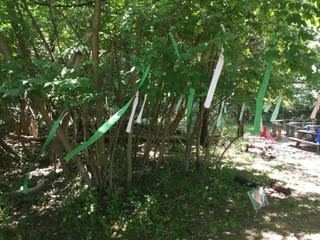 We are forming habits of mind in the forest. Beyond the skills and facts that will surely accumulate, it is the orientation toward learning that we seek to cultivate most. Today, I had a long conversation with a child about a clump of soil with leaves stuck to it that he had picked up and brought to me. Unprompted, he stated his observations: “The ice is never melting,” and “There are leaves stuck to this.” We looked closely with a flashlight and a hand lens to try to figure out more. His genuine curiosity about this object he had found and chosen to pick up struck me. On another day, this would easily have been passed by, but today, he is paying closer attention to the environment. He is choosing his topics of research. He is growing knowledge that will be layered on in the weeks to come. His relationship to the forest is becoming one of interest, curiosity and engagement. This conversation brought a larger group of children around to see what we were discussing. A rich conversation about the identity of this object ensued. One child suggested, “Maybe it’s a home for bugs” while another stated, “I think it’s fruit that grew on a tree.” Some children went on hunts to see if they could find the location of where the object came from, and someone found one that was cracked open and we explored the inside which contained tiny seeds. 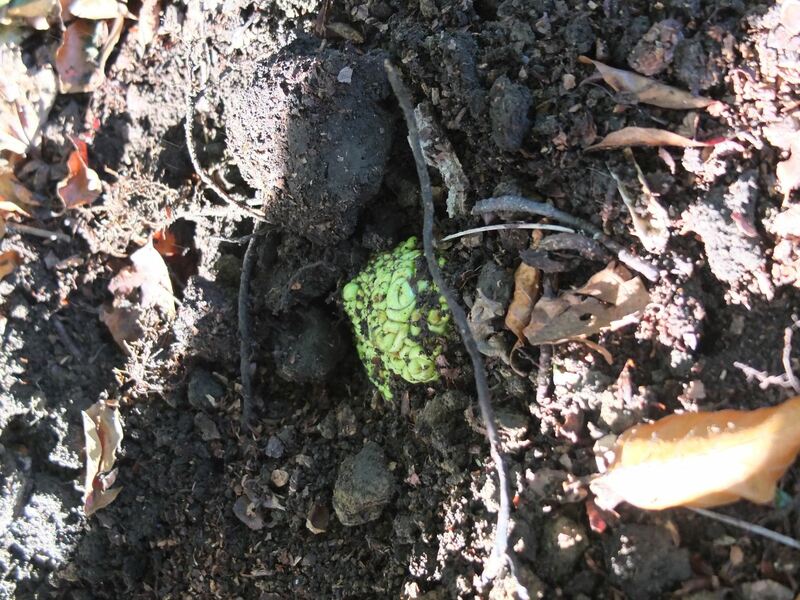 A group of children decided to plant them to see what would happen. A colleague and I got into an interesting conversation about how I had responded to the simple question: “What is it?” She wondered why I had chosen not to tell the child the fact: It is an Osage orange. I suspect, if I had told the child that answer, the conversation would have ended there. What would the child have learned? And what message does she receive if all questions and answers end with an adult. 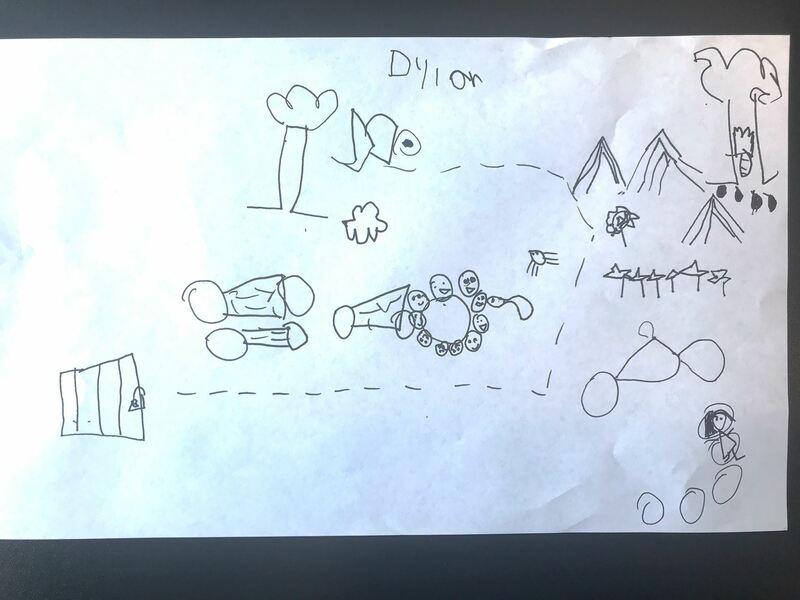 By turning the question around, and engaging with the children on a journey of more questions, what messages did they receive? As teachers, our job is to ignite the fire. To create a culture of curiosity, conversation and debate. To value the perspectives of others and their thinking. Our job is so much more than delivering answers. 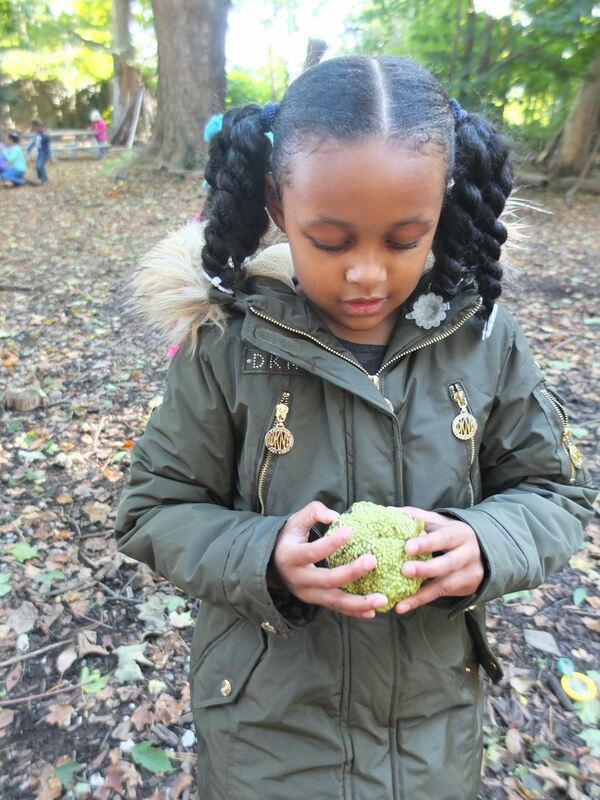 Now the children have an authentic relationship to Osage orange through their own exploration. They know some things about this object that they discovered themselves. And, on another day, if we happen to discover the name of Osage orange in a book, the words become much more meaningful. I will climb! I will hide! I will make that my house! Their ideas came easily, although many of these children voiced that they had never been to a forest before. Their natural curiosity and excitement, and desire to learn and play was apparent even before we stepped foot into the forest together. Sure enough, the children needed no directions or prompts to know how to play and engage in the forest. Day one was rich with all of the ideas they had imagined, plus numerous more which emerged. The climbing, hiding, and dramatic play was accompanied by collecting and building. There was joy in holding a giant stick twice their own size. 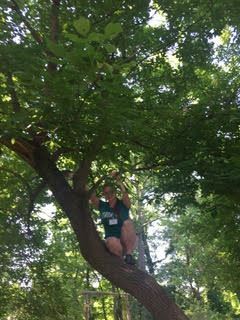 There was the challenge of climbing huge logs and finding a way down. And, there was so much interest and delight in finding and holding worms, leading to many “homes” built for the worms. A teacher commented that she was concerned the children might be bored by so much unstructured time. And yet, I have found that unstructured time in the highly rich forest environment is the exact condition for children to be highly engaged and focused. We are just at the beginning of something new, together. 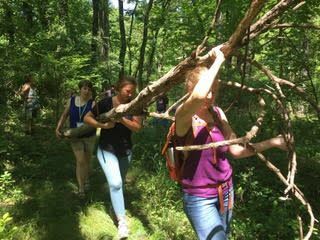 The teachers, children and I are learning about what the forest can teach us and what stories and relationships we will grow in this new landscape. We are a new forest school, only in our third year of operation, but Lime Hollow Forest Preschool has been growing quickly. We sent two gifted teachers, and myself, the director to the 2017 Natural Wonder Summit at New Canaan Nature Center. This was the first conference we had ever been to for nature-based early childhood education. We were excited to share ideas with other forest school educators and the summit surpassed our expectations! There were lots of practical ideas. We like to have tea everyday in the forest, but it can easily take an hour to start a fire with flint and steel and get water boiling. And what if we want warm tea AND a hike? New Canaan Nature Center Preschool's Kelly Kettle solution was really quite brilliant. We learned new songs to sing, new games to play, and how to use mindfulness. 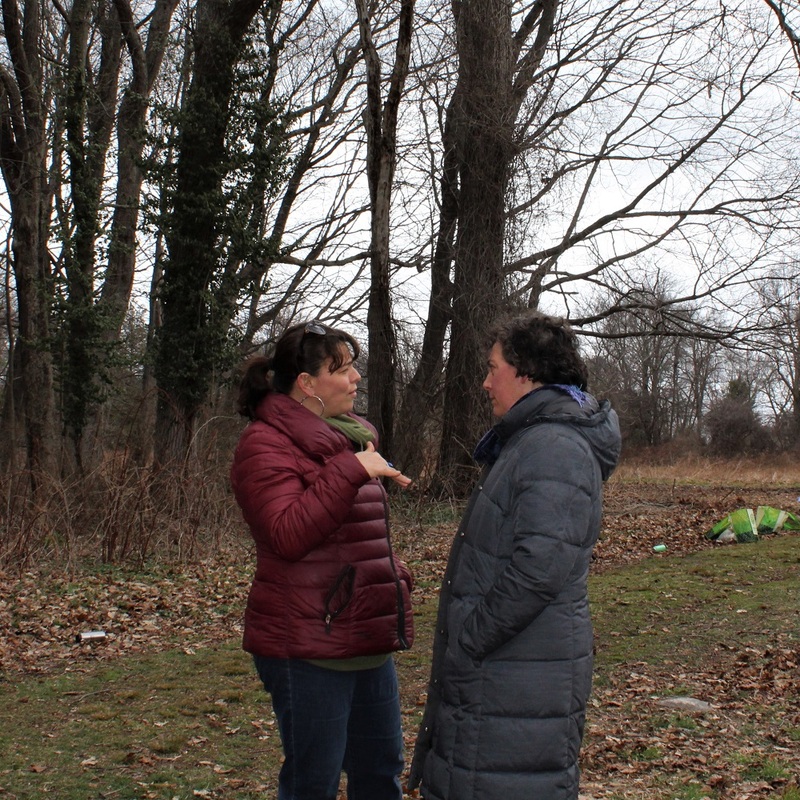 We shared strategies on how to minimize wear and tear on our natural areas where children like to play. It was great to share ideas with other educators about problems common to us all: children's winter clothing challenges, parent's fears about nature, compliance with licensing regulations. A more subtle and powerful result of the conference, though, was the reinforcement of our truths. Emergent curriculum (flow learning, child-led learning, place based learning) is highly effective. Unstructured time in nature is critically important to a child's development of a sense of their place in our natural world. What we are doing is counter-culture, but we are not alone in our mission. There is data to help us justify the risk/reward decisions we make everyday. I can tell you that our Lime Hollow Forest Preschool team returned to the forest centered, fortified in our mission, recharged and ready to joyfully receive our young students after the Natural Wonder Summit. I am thrilled to reflect on our first Natural Wonder Summit! 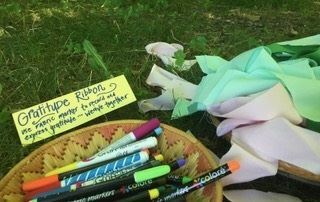 With some 85 people in attendance, it was a day full of positive energy, puddles, a smoky campfire, and passionate nature-based early childhood educators. Click here for more photos. The New Canaan Nature Center Preschool kindly hosted in New Canaan, CT. The summit took place in their quaint, airy visitor center with lunch tours of buildings that house six nature preschool classrooms. The NCNPS enjoys expansive grounds dotted with evergreens, birch and beech trees, as well as small ponds, old stone walls, an orchard and farm animals. The NCNCP celebrates fifty years as a licensed nature preschool in 2017 – arguably America’s oldest. 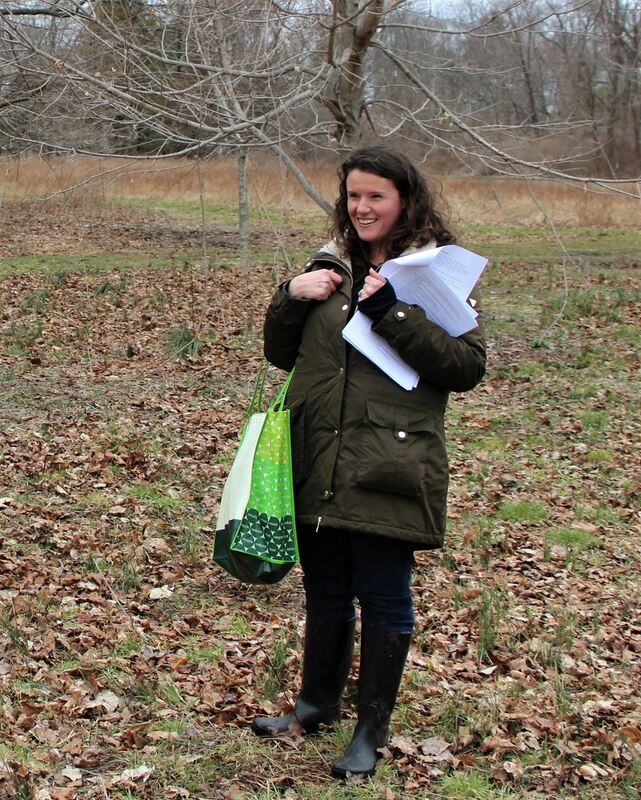 It was an ideal location to usher in the start of ERAFANS teacher professional development while acknowledging a nature preschool that blazed a trail for so many others. The day began with a mindfulness hike through the forest, led by staff from NCNCP. Deep breathing, a Tibetan singing bowl, and visualizing activities brought awareness to the senses. Participants concentrated on being present for the day as they discovered mindfulness activities to try with the children in their care. The keynote presentation was offered by Ken Finch, former director of the New Canaan Nature Center, founder of Green Hearts, and long-time advocate for wild nature play. He shared inspiring words and statistics about nature play and the recent lack thereof, evolutionary-speaking. He pointed out that despite the fears of some parents about young children playing outdoors, 8,000 children are injured each year from flat screen televisions falling over! Finch asserted that much of the hyper vigilance about dangers in nature is fueled by the constant bombardment of media. Finch argued, however, that these fears are largely unwarranted based on crime statistics that demonstrate declining crime rates over the last fifty years. He humorously ascribed the many benefits of risk-taking in outdoor play, noting that emotional bonds are essential if we want children to grow into adults who care about the natural environment. In his words, he’s “trying to save the world” and giving young children authentic playful experiences in nature is crucial to that goal. Finch also made a clear distinction between risks (those a child can determine and act on, with real developmental benefits) versus hazards (things a child cannot foresee and present serious injury unless avoided). Participants gathered around the campfire for an informal question and answer session following Finch's remarks. 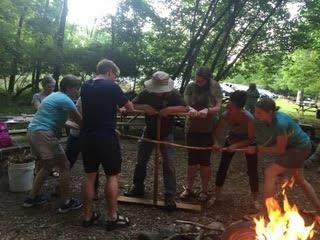 Workshops explored topics including fire-starting and brewing tea with young children, documentation of skills in nature play, and forest games in the tradition of the Coyote’s Guide to Mentoring. All of the workshops were incredible and engaging! Presenters hailed from organizations representing many of ERAFANS founding members. 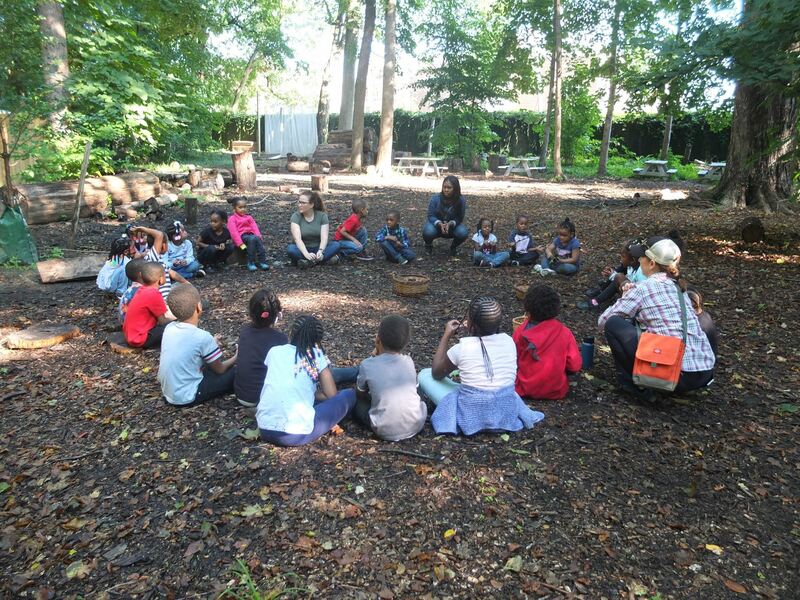 Each offered a unique lens for outdoor learning which practitioners could approach from any number of settings: nature preschools, forest kindergartens, traditional preschools or day cares, public schools, or nature-based in-home childcare settings. The day ended with honors for Jessica Clayton of Riverside Rhymes Nature Play School, who won our first Wonder Award. Dinner, fantastic networking and s’mores rounded out the day. Today we are completing the summit at the Westbrook Nature School - more details to follow on our visit! If you want to join us for a great training experience like this one, or if you want to host something in your region, just ask. ERAFANS will bring it to your door step! 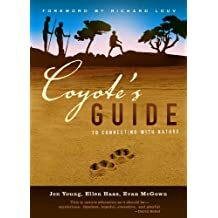 If you are new to approaches in nature-based learning, a must-read is Jon Young, Evan McGown, and Ellen Haas's book the Coyote's Guide to Connecting with Nature. 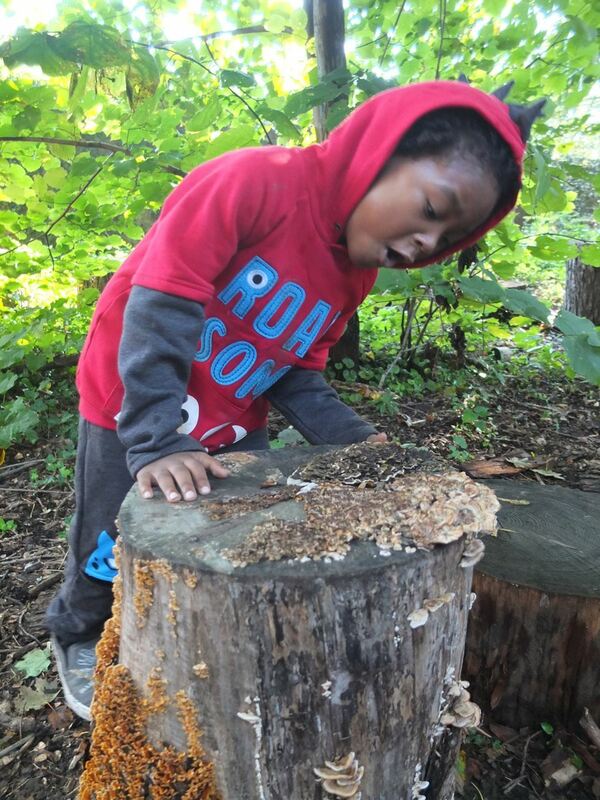 It offers important insight as to the "how" of nature-based learning, and gives several sample activities to try. I especially love the mentoring approach that they describe. Erin Kenny's book, Forest Kindergartens: The Cedarsong Way, is another resource if you want to learn more about a total nature immersion approach in the United States. 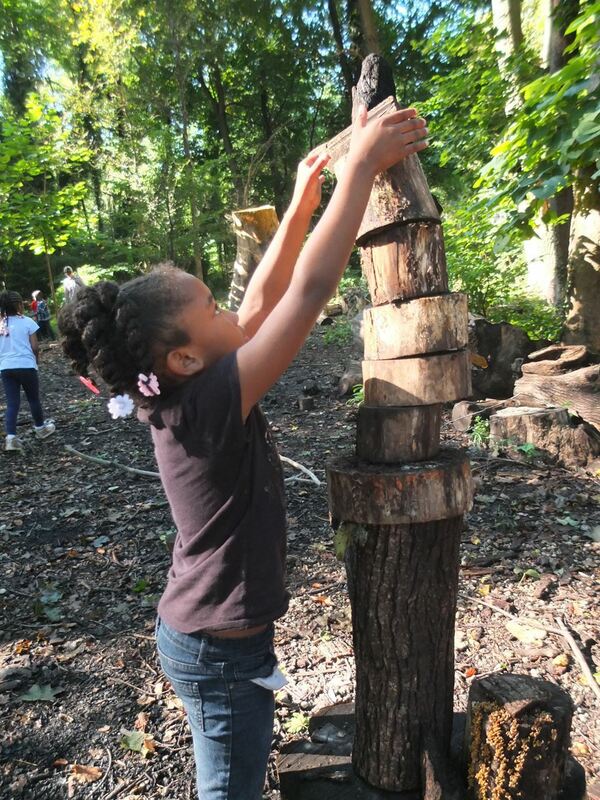 In terms of starting a nature-based program, David Sobel and Patti Bailie recently published Nature Preschools and Forest Kindergartens: The Handbook for Outdoor Learning. It covers a wide range of topics to help you dig into all aspects of your nature-based program. And finally, I love Working in the Reggio Way by Julianne Wurm and Celia Genishi. No matter what philosophy of early childhood education you subscribe to, this book asks practitioners to critically think and reflect on our beliefs and practices. As you move through the exercises in the book, you can easily relate and apply your views about nature-based learning to many aspects of early childhood educations or settings. If you use this book as part of a team or staff, it can be an amazing, trans-formative experience that keeps evolving and deepening your practice over time. It is not written specifically for nature-based educators, but completely applicable. 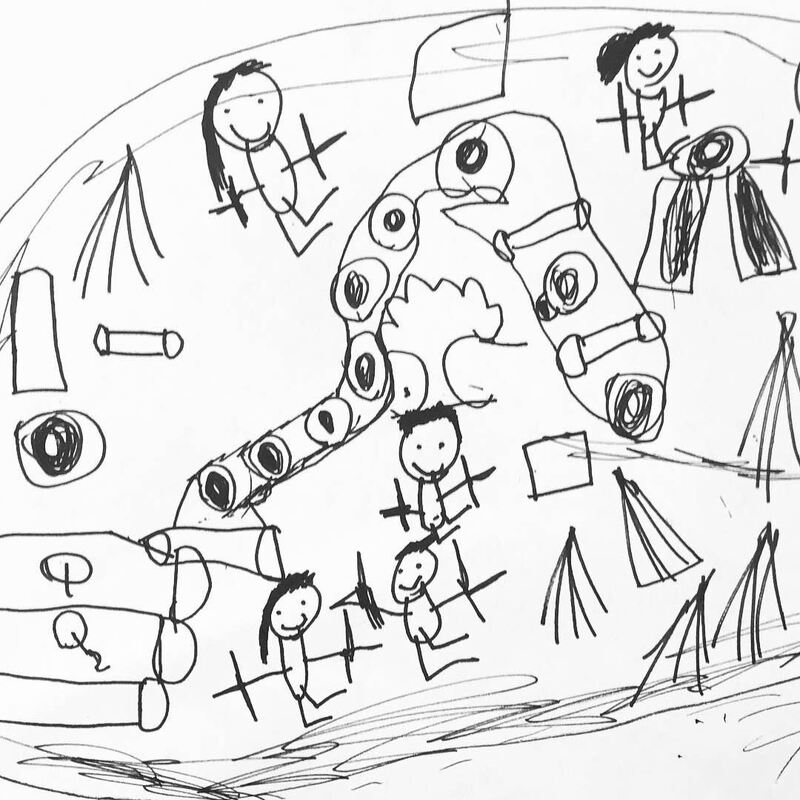 Guest blogger Ashley Baker is the director of in-home daycare Doodle Play in Traverse City, Michigan. 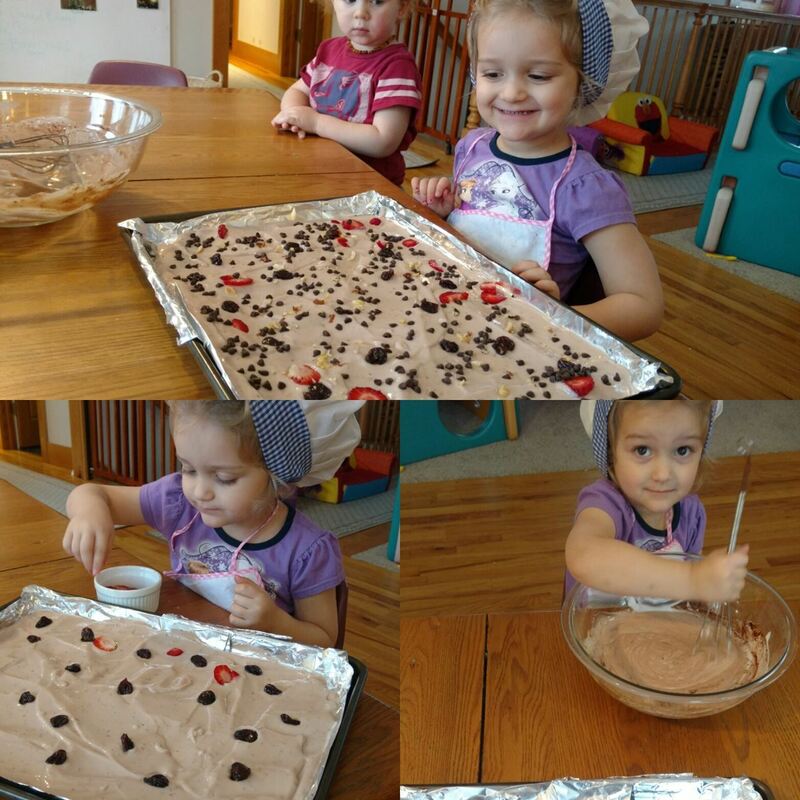 She shares her experiences engaging young children in healthier eating habits. I would be lying if I said our day doesn't revolve around food. Our schedule revolves around when we eat, how long it takes to prep meals and the cleanup after. We have some of our best conversations when we are all seated together eating meals. At my daycare located in Northern Michigan, we have two large gardens and a chicken/duck area that provides us with lots of fresh fruits, veggies and eggs. The problem for us isn't using the fresh produce when in season, it is making sure we use that produce throughout the year and incorporate it into as many healthy meals for the children as possible. To make healthier meals and make our produce last longer, we started incorporating meal prep days into our routine. The kids and families really took to it! We have less produce going to waste and the kids eat better meals throughout the year, thanks to our thoughtful meal preparation and planning. My daycare kids love smoothies, and they are a great way to use excess produce. We make and freeze smoothie packs with spinach and berries from the garden. We use organic red tape bananas, too – we simply freeze the peeled bananas and throw them in the smoothie packs. We even freeze avocados in ice cube trays. Smoothies are versatile and can be enjoyed for breakfast or snacks. But it doesn't stop at smoothies. 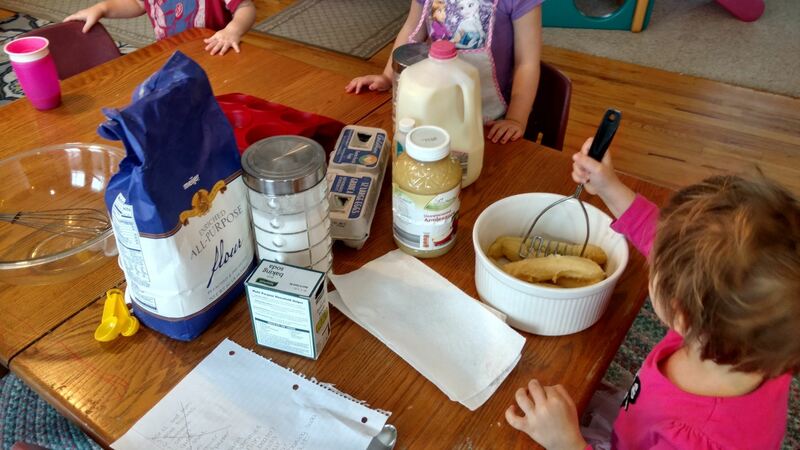 Last week the children and I baked four dozen banana bread muffins. We mashed, measured, counted, mixed and baked. Once cooled we froze the muffins individually (six per bag) and put them in the freezer. We took the muffins out to defrost the night before, so the children ate a homemade breakfast without a lot effort that morning. We use bell peppers from the garden for several recipes including fajitas. We make twice baked potatoes and our tomatoes are made into sauces – both easy to freeze and serve later. When we're finished with a snack or meal, the children put their food into the compost. Our chickens and ducks pick through the compost, turning it and fertilizing it. This in turn cuts our cost on poultry feed, gives us a rich fertilizer and cuts down on our food waste. It's important that children not only see where their food comes from, but also where their food goes. Yes, eggs come from chickens. But using the eggs in muffins or scrambled eggs takes it another step further and helps children understand how natural resources become ingredients for the nutritious foods we eat. It's important to teach these sustainable food habits now, as children discover how our needs are interconnected with nature. My hope is that making these connections now will lead to better eating habits, a closer connection and respect for our food and understanding about where it comes from. I hope that the children who call this their second home will grow to make more sustainable decisions about food. 1. You can't organize materials without thinking about aesthetics. Plastic bins have a very different feel than woven baskets. Everything we use, including organization aides, sends a message and sets a mood. Opt for natural, rustic, or recycled containers for organizing instead of plastic ones. Consider apple crates, wicker baskets, wooden bowls and trays, canvas bins, or galvanized pails. 2. Materials should be stored in a way that is accessible and available for young children to independently choose and put away on their own. This empowers children to make choices about what they need, and makes it easier for children to help with clean up. This is a natural way for young children to learn responsibility. 3. Commercial products for early learning environments are often an explosion of bright yellows, reds and blues. Go for shelves and containers that are wooden or in subdued neutral tones. A room can feel more cluttered than it is simply by having too many bold and contrasting colors everywhere. 4. Keep a small shed or storage bench for outdoor tools and materials. A wagon is also a great alternative. You are sure to have helpers pull the wagon when you head out for some nature play! Author Sandra Duncan published a wonderful book, Rethinking the Classroom Landscape: Creating Environments that Connect Young Children, Families, and Communities in 2016. It features the Nature Preschool at Irvine Nature Center, as well as many other outstanding early childhood centers. We communicate the value of learning and our learning materials when they are organized. Young children come to understand this as one way we show respect. When we give care and attention to materials by organizing them and storing them neatly, we demonstrate that we value them. 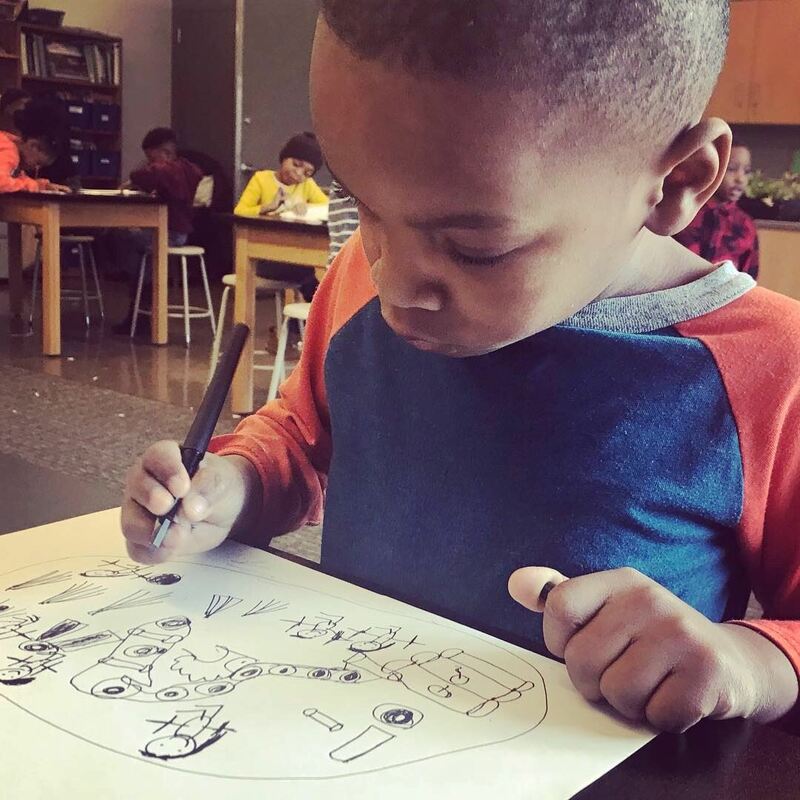 By making materials accessible to the children, we also communicate that we value a child's right to make choices about learning, and that we trust children to use materials properly. A learning environment full of things that are off limits and not to be touched sends an underlying message that children are not trusted or respected. When you look at the way you currently store your materials, what do you think you are communicating to young children? Staff? Families? What is one small thing you can do today to improve in this area?